You may remember last week when I posted about my blog planner, well today I will tell you how I actually plan my blog using my planner and one other tool. An index card holder and cards. 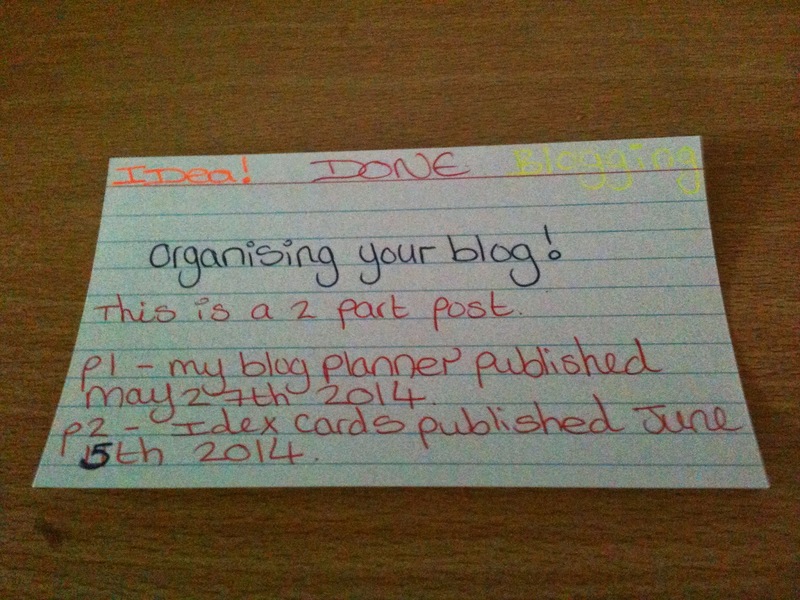 These are so cheap and for me such a great way to plan my blog, I love them. 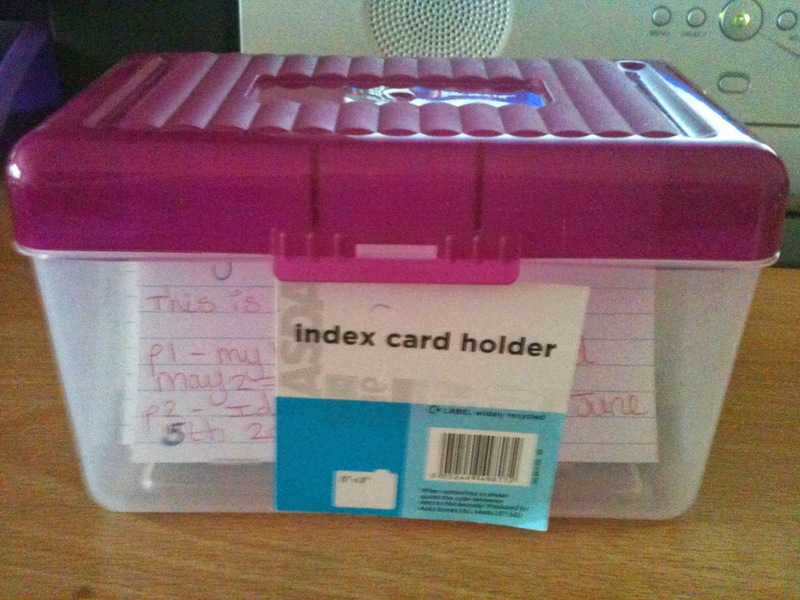 The holder only cost £1.50 from Asda and a pack of 100 cards is also only £1.50. I have three main categories for my cards which are; blog posts with deadlines, ideas for blog posts and linkies that I take part in. I have seven cards which are each labelled with the days of the week which I use for linkies. For example, if it’s a Friday, I take out the Friday linky card where I have the information of all the linkies that I know about which take place on a Friday that I may like to participate in and I never forget to join in with something I wanted to do. For idea’s of posts that I would like to write I use a card per idea. I write in the middle on the front of the card the main idea, on the top left corner I write ‘idea’ and on the top right corner I write the topic such as food, craft or blogging. On the back of the card I draw up a plan of things that I want to include in the post such as links to other sites, points to talk about and photo’s etc. The great thing is that I do not have to do the plan when I make the card, I have lots of cards that have nothing on the back yet, but the main idea of what I want to write about is on that card so I don’t have to worry about remembering it. If I am out and I have an idea I always have my blog planner with me so I can just note it down in the notes section that I included and then transfer the idea to an index card when I get time. 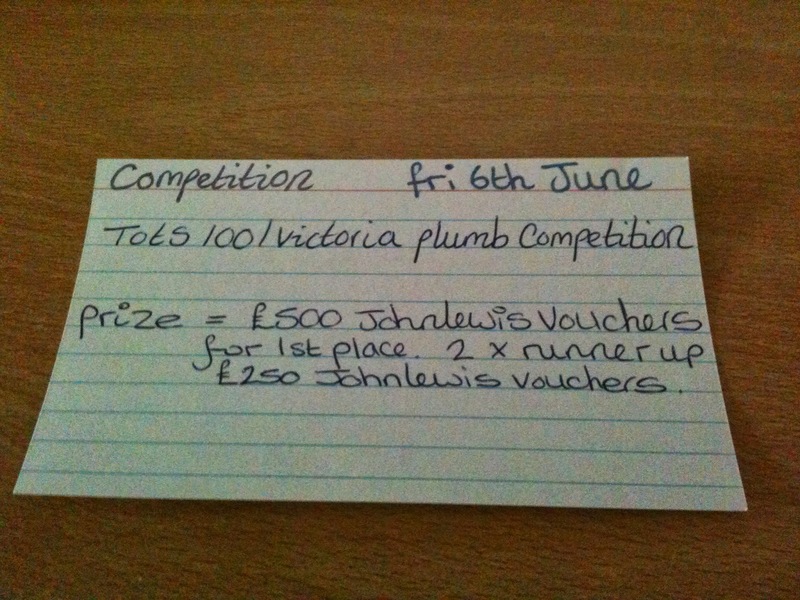 For paid work, competitions and reviews I use a similar system. I write either paid, review or comp in the top left of the card, the date it needs to be live on my blog in the top right of the card and the details of the task, who it is for and what I am receiving on the front of the card, leaving the back free to make a plan. Anything that has a deadline is always filed at the front of the card holder with the nearest date first so that I can easily see when something needs doing. 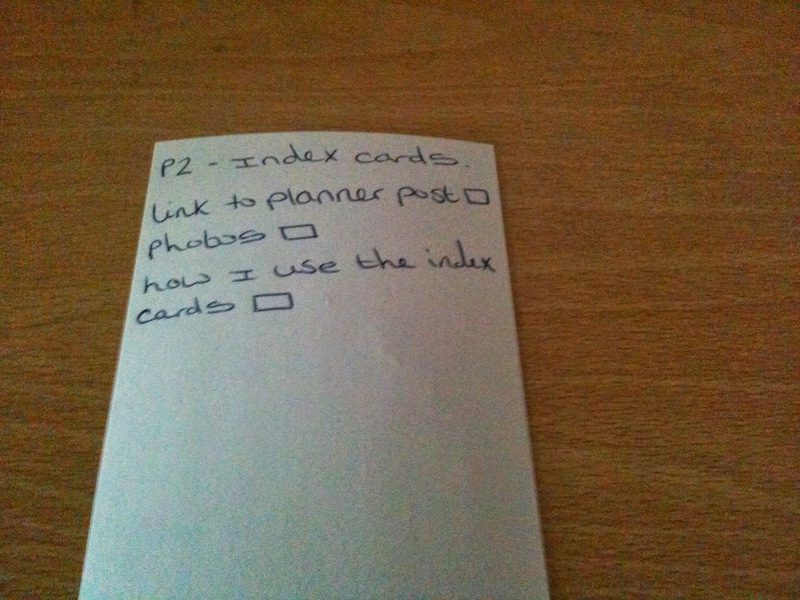 When I have completed a card I write ‘done’ in the centre of the top line of the card and then file it at the back of the box so that I have a record of what I have done. When the box gets full, I then either file them away in a proper file which is labelled ‘blog’ or recycle them if I no longer need them. When planning what’s coming up on my blog I can look on my month to view sheet that I made for my blog planner and easily see which days have no post ready. I can then look through my idea cards and pick out which one I will use. 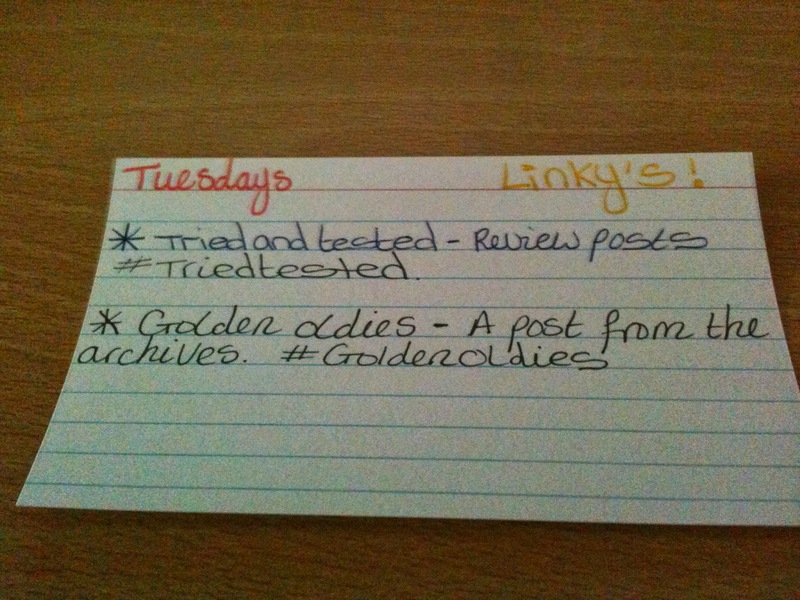 I do not use a card for every post as some like ‘The Prompt’ which I take part in every Friday has a set topic each week and I know that I need to write the post and I have the linky on my Friday linky card to remind me to link up. I hope that I have helped a few of you in realising how simple it can be to get more organised and plan ahead. Everyone is different and some of you may find my way confusing, but as long as you have a system that makes you happy you will find keeping on top of your blog a breeze. Do you have a system or different way of planning your blog or planning anything? I always love to receive your comments and I always do my best to reply to each and every one. Thank you :-) It helps that I really enjoy being organised! Wow you're so organised! I have a page on my blog with all the linkies on otherwise I completely forget! Great idea. I like reading about how people manage their blogs. I don't have a big system, I do have a planner, but I don't actually plan too far in advance very much. Wowee you are very organised but what a fantastic idea. I'm trying to get organised because my head is all over the place at the moment. I have ideas everywhere and they never seem to end up on the computer! Great ideas here. I tend to just sit and write what comes into my head and then wonder if there is a linky I can use. I must try and be more organised! Fab ideas. 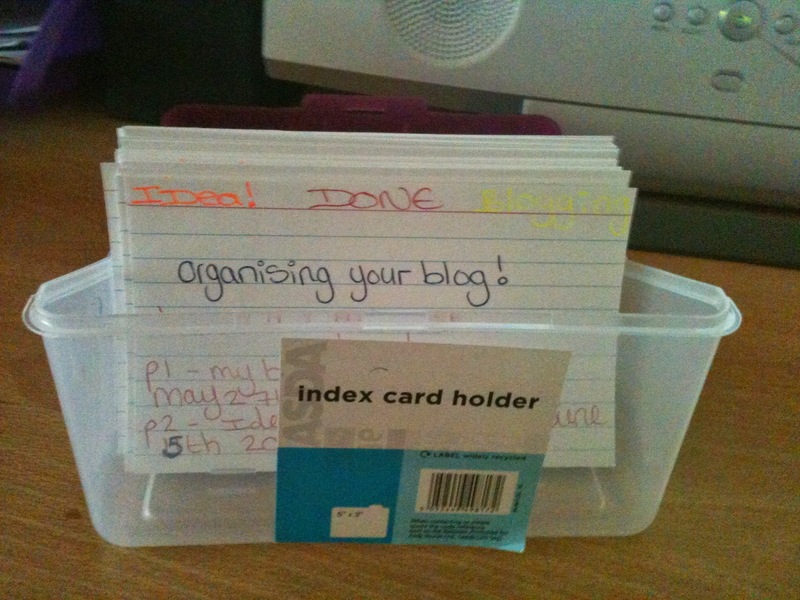 I'm only a beginner blogger but hopefully one day I can be as organised as you are!